We never forget that the floor is made up of a number of levels and the choice of underlay is as important as your choice of finish. When we take your order we will discuss what the room is going to be used for, what the traffic levels will be like, and whether there will be underfloor heating or a need to reduce sound for floors below. 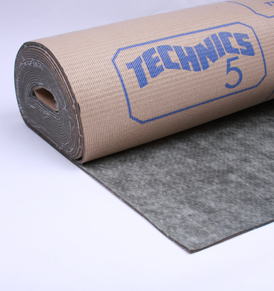 Different types of underlay possess different properties, some can help reduce sound transmission between floors, while others are designed to improve insulation. It can also be used to add moisture protection and smooth minor floor imperfections, while some types have the ability to be installed over underfloor heating systems. 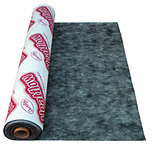 The choice of underlay will therefore depend both on the type of flooring being installed, as well as the room environment. For example, moisture management will be more important when using engineered wood flooring. 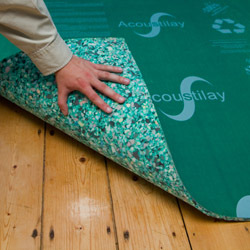 Underlay with moisture management reduces the possibility of mould growth under the finished wood floor and can prevent subfloor or incidental perimeter moisture from damaging the finished floor. If sound is your primary concern, sound absorbing, or acoustic, underlay reduces impact sound and inhibits noise from travelling into the room below.